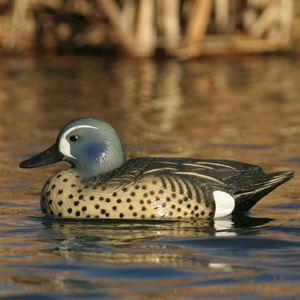 These Life size Blue Winged Teal Decoys (AV73025) by Greenhead Gear GHG Avery Outdoors are featuring Avery's new Dura-keels that are permanently attached. 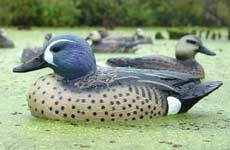 Package includes 4 Active Drakes and 2 Active Hens. 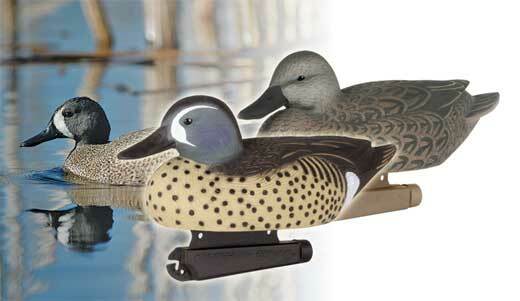 These Life Size Blue-Winged Teal Duck Decoys (AV73025) By Greenhead Gear GHG Avery Outdoors are value priced.